Cincinnati Mazda Service and Repair - Avid Autowerx, Inc.
Avid Autowerx is the trusted source of Mazda service in Cincinnati. Our auto mechanics specialize in Japanese auto repair, which means they can quickly identify and fix virtually any issue affecting the drivability and safety of your car, and we stand behind our Mazda service with a three-year/36,000-mile warranty. It can be a challenge to find a Japanese auto repair shop capable of servicing your Mazda in Cincinnati, and it can be even more of a challenge to find a facility dedicated to a kind and honest customer service. Fortunately, your search is over. Avid Autowerx meets all those criteria and more. 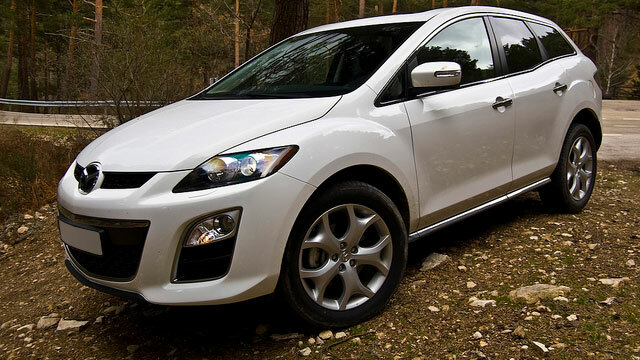 Our auto mechanics are experienced, educated, and equipped to service and repair your Mazda quickly and accurately. Avid Autowerx in Cincinnati shares joint ownership with Dubwerx. Dubwerx has already proven to be the leading independent Volkswagen and Audi specialist in the region, and Avid Autowerx will be no different. Our commitment to your safety and satisfaction is evident in how we continue to go that extra mile for you, your family, and your Mazda. Call Avid Autowerx Japanese auto repair today at if you have specific questions about your Mazda, or contact us to schedule an appointment. We’re located at 5591 Wooster Pike, Cincinnati, OH 45227. Avid Autowerx team of auto mechanics looks forward to taking care of you, your Mazda and all your future auto repair needs.